For Jean-Pierre Masuku, the fight against the Ebola epidemic currently raging in North Kivu, in the eastern Democratic Republic of the Congo (DRC), is not new. He witnessed an earlier outbreak of the disease in Equateur Province, 1,550 miles west of the newly affected areas. “But whatever it is, you do not get used to fighting a highly dangerous, contagious and deadly disease like Ebola,” he says. 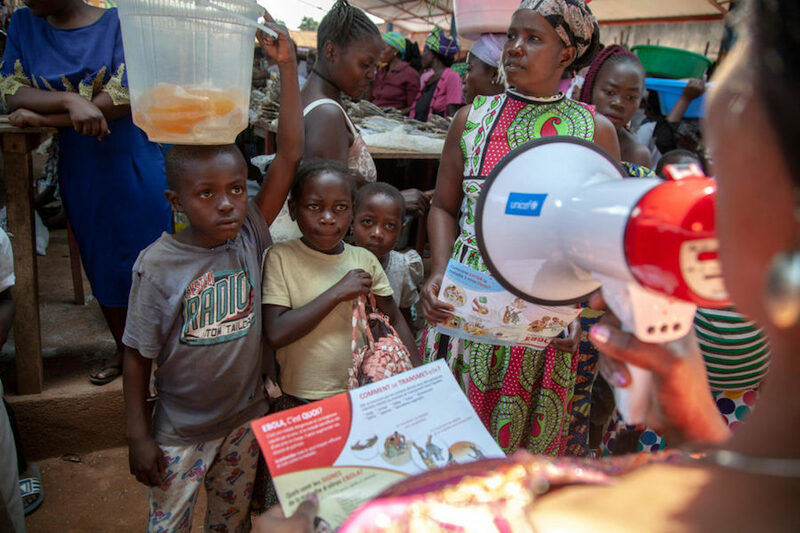 In the central market of Beni, Masuku (above) imperturbably repeats messages of prevention over his megaphone. At his side, members of the local civil organzation distribute prevention leaflets. 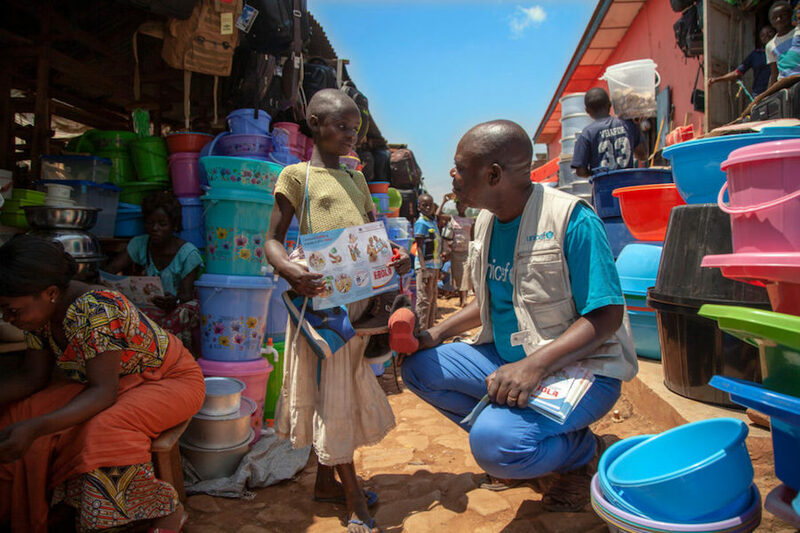 “I inform people in the market that the Government has put in place a free number that they can call to report suspected Ebola cases in their community," he explains. "They have to be treated quickly by competent health services to avoid any contamination around them.” While Jean Pierre communicates the toll-free number, passers-by around him record it on their cell phones. The population is clearly concerned about the epidemic. Everyone wants to protect themselves, their family and community from the deadly disease. The work is definitely not over. In Mangina, Ebola’s other epicenter, Masuku’s colleagues develop similar outreach activities. With partners, UNICEF has trained dozens of local health workers. They go door-to-door to educate each family in the affected communities. Local radio stations and journalists broadcast prevention messages to their listeners and readers. Yves Willemot is Chief of Communications at UNICEF, the Democratic Republic of the Congo.